When you’re doing your yoga or workout routine, the last thing on your mind is if your mat is sustainable – but two companies have exactly that in mind. 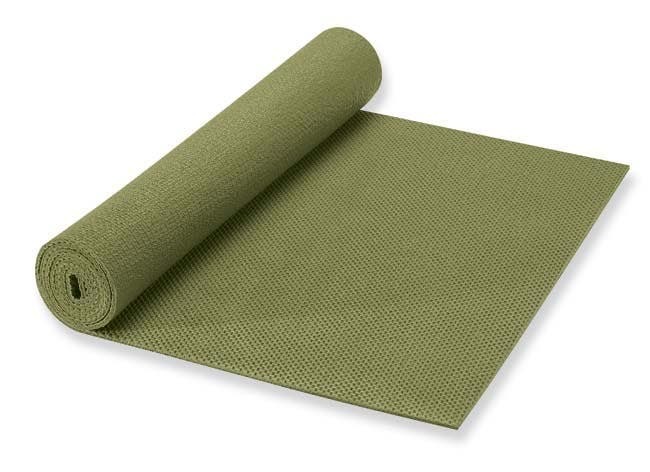 They’re designing a comfortable and sustainable mat from the unlikeliest of materials: algae. Algix and Effekt has developed a flexible foam made from algae harvested from waste streams in the US and Asia, so not only are they creating a new, useful and sustainable material, but they’re reducing pollution. The algae is of course renewable, doesn’t require any pesticides or toxic treatment, so harvesting and using it has no negative environmental impact; and the best news? It will reduce the need for non-renewable petroleum chemicals! “Flexible foams have been overwhelmingly made out of non-renewable petrochemicals for decades,” says Rob Falken, Effekt’s and Bloom Holding’s Managing Director. “Over the past year we’ve worked really hard to create a suitable algae biomass alternative that doesn’t compromise performance and that delivers tried–and–true characteristics for all sorts of demanding applications” he continued. The company is also targeting other similar products, such as pads for surfboards, footwear, toys etc. The foam contains 15-60% algae, depending on the type of product, and can be produced with a wide variety of colors. The products will hit the shelves in early 2016, under the name of Bloom.